In 2004-2017, Russian special services in foreign countries assassinated at least 13 ethnic Chechens who fought for the independence of Chechnya. Only one of 12 attacks failed before the recent botched attempt on lives of a Chechen married couple in Kyiv. The Kyiv attack on Adam Osmayev and Amina Okuyeva was the first case when a victim returned fire on the Kremlin assassin and the police detained the perpetrator at the scene of crime. The assailant turned out to be Artur Denisultanov-Kurmakayev, a Russian-Chechen criminal from Russia who worked in Europe in 2008 to help pro-Russian Chechen president Ramzan Kadyrov to force the Chechen refugees who fled Putin’s regime return to Chechnya. Chechnya endured two bloody wars for independence, first in 1994-1996, then in 1997-2007. Hundreds of thousands of civilians were killed, injured and displaced in Chechnya and its neighboring regions. Thousands of fighters perished. All presidents of the “Chechen Republic of Ichkeria” were killed by the Russian special services — Dzhokhar Dudayev in 1996, Zelimkhan Yandarbiyev in 2004, Aslan Maskhadov in 2005, Abdul-Halim Sadulayev in 2006, Dokka Umarov in 2013. 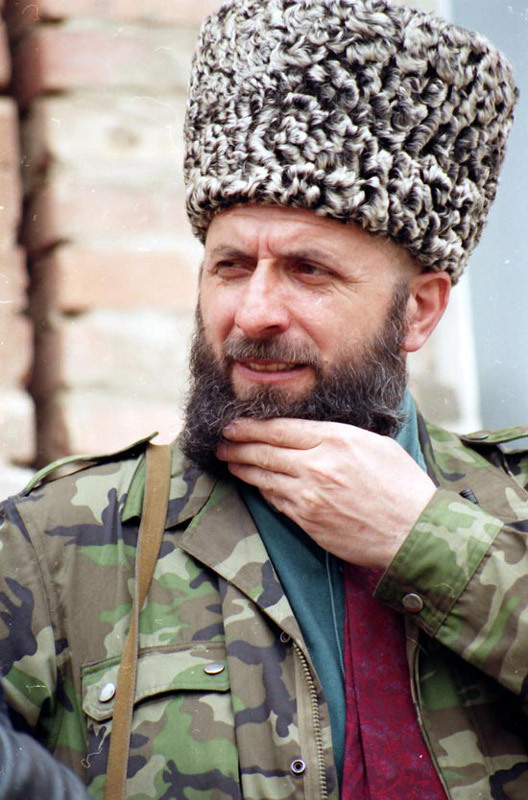 Yandarbiyev was the first Chechen leader killed by Russia abroad. In 2008 Russia activated terror against Chechens abroad. Here are the best-known murders of Chechen refugees. Russia’s fingerprints were found in most cases. In other cases, the hitmen left no evidence behind, but relatives and friends of the victims believe that the Russian special services murdered their beloved ones. Infographic: Ganna Naronina. Download the high-resolution version. Zelimkhan Yandarbiyev, the acting president of the breakaway Chechen Republic of Ichkeria (1996-1997), assassinated in 2004 by Russia’s GRU. On 13 February 2004, Zelimkhan Yandarbiyev was seriously wounded in a car explosion in the Qatari capital, Doha. Later he died in hospital. Two bodyguards were also killed, and his son Daud was seriously injured. Yandarbiyev was a Chechen writer and a politician of the breakaway Chechen Republic of Ichkeria. Qatari authorities arrested three Russian nationals on charges of the assassination of Yandarbiyev and an assassination attempt of his 12-year-old son. One of the assassins, the first secretary of the Russian Embassy in Qatar Aleksandr Fetisov was later released due to his diplomatic status. The other two, agents of the Main Intelligence Administration (GRU) Anatoly Yablochkov and Vasily Pugachov, were sentenced to life imprisonment. The judge stated that they had acted on orders from the Russian leadership. Later, Qatar extradited the prisoners to Russia under the condition that they would serve out their life sentences. However, the assassins received a heroes’ welcome in Moscow and were set free. In June 2006 the Russia’s State Duma adopted and the Federal Council (Parliament’s Upper Chamber) approved a law permitting the Russian president to use the army and special services against “terrorists” outside Russia. In fact, the law legalized the extra-judicial killings abroad. The first victim killed under the new law was Alexander Litvinenko. The prominent Putin’s critic was poisoned with radionuclide polonium-210 in London by FSB agents on 1 November 2006. Litvinenko was a co-author of the book Blowing Up Russia: Terror from Within which claimed that 1999 apartment bombings in Russia were false flag attacks staged by the FSB to win public support for the new war in Chechnya. The Second Chechen war unleashed by Prime Minister Vladimir Putin later in 1999 boosted his popularity and brought his pro-war party to the Parliament and him to the presidency months later. And the assassinations of the Chechen opposition resumed two years later. On 16 September 2008, former Chechen colonel Gaji Edilsultanov, 54, was shot dead in Istanbul, Turkey. On 9 December 2008, former Chechen rebel field commander Islam Janibekov, 38, was shot dead in Istanbul. According to CensorNet, Janibekov was killed with the Groza, a pistol developed for Russia’s special forces for use in assassinations. On 13 January 2009, 27-year-old Umar Israilov, a former bodyguard of pro-Russian Chechen leader Ramzan Kadyrov, was shot dead by two men in Vienna, Austria. Earlier Mr. Israilov had publicly accused Kadyrov of ordering torture and murders. Three Russian-Chechen assassins were arrested and brought to justice. Ruslan Edilov, who had changed his name to Otto Kaltenbrunner in Austria, was sentenced to life in prison, Suleiman Dadayev to 19 years, Turpal-Ali Yesherkayev to 16 years in prison. The man suspected of firing the fatal shots, Lecha Bogatirov, remained at large. On 26 February 2009, former Chechen field commander Musa Atayev also known as Ali Osayev, 48, was killed with three shots to the head in Istanbul. Later in fall 2012, the Turkey authorities arrested Georgian national Timur Makhauri on the charge of murdering Musa Atayev, however, three years later the court declared him not guilty. There were no high-profile murders of Chechens abroad in 2010, but terror resumed in 2011. On 16 September 2011, three Chechens were shot dead in Istanbul with the Groza again. Their names were Berg-Khazh Musaev, Rustam Altemirov and Zaurbek Amriev. Musaev was considered to be a close associate of Caucasus Emirate leader Doku Umarov. Turkish authorities believed nine people were involved, including two alleged Russian agents who fled, leaving fake passports behind. The first known failed assassination attempt occurred on 7 October 2011. The former head of the Supreme Sharia court of Ichkeria, Shamsuddin Batukayev, 55, said his bodyguards had foiled an attempt to assassinate him. 26-year-old ethnic Chechen Barkham Batumayev was detained and passed to the police, later the police arrested another ethnic Chechen Uways Ahmedov who ostensibly provided Batumayev with the weapon. Notably, a year before the assassination attempt, Kadyrov promised to help Batukayev to return to Chechnya. According to Kadyrov, the former Ichkerian judge desired to come back to his homeland but had expired documents. On 22 May 2013, Turkey-born ethnic Chechen Medet Ünlü, 53, was shot dead in his office in Turkey’s capital Ankara. He was the “honorary consul” of the separatist Chechen Republic of Ichkeria. On 23 February 2015, Kaim Saduev who fought alongside Chechen warlord Shamil Basayev was poisoned in Istanbul. He received a package from his sister in Chechnya. Saduev, his wife, and one of his children were hospitalized after they ate their dinner, in which they used wild garlic included in the package. Saduev died in the intensive care unit on March 2, other family members survived. On 1 November 2015, another Chechen militant Abdulvakhid Edelgireyev, 32, was shot dead in Istanbul. Russian citizens Yury Anisimov and Alexander Smirnov were arrested on the charge of killing Edelgireyev. On 11 May 2016, the brother of Chechen field commander Ruslan Israpilov, 46, was shot dead in Kocaeli province, Turkey. In June 2017, Denisultanov-Kurmakayev was wounded and detained in Kyiv while attempting to assassinate Adam Osmayev and Amina Okuyeva, veterans of the Donbas war who fought against Russian forces. Long before the war in the Donbas, Russia accused Osmayev of plotting an assassination attempt against Putin. 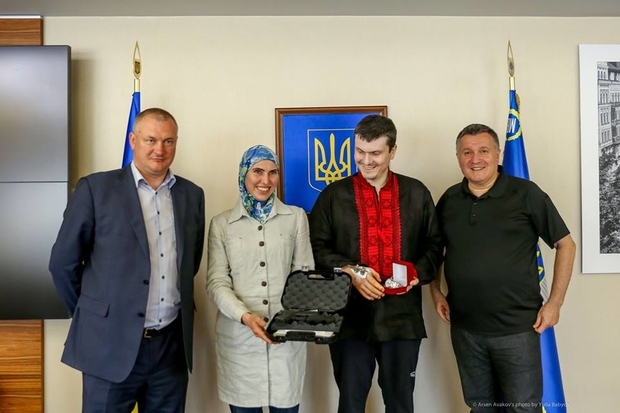 On June 1, a man attacked two Ukrainian veterans, Adam Osmayev and Amina Okuyeva, in Kyiv. Osmayev was shot and wounded in the chest, but Okuyeva returned gunfire at the attacker who had posed as Alex Werner, a journalist from the French newspaper Le Monde. Both seriously wounded, Osmayev and the would-be assassin were taken to an intensive care unit. Mr. Denisultanov-Kurmakayev said that he wanted to give a present for Osmayev and Okuyeva. According to Okuyeva, when the couple sat in the back seat of the car, the assassin opened the box, pulled out a gun and opened fire on Mr. Osmayev. According to MIA speaker Artem Shevchenko, the suspect who allegedly attempted the lives of Osmayev and Okuyeva used a dead man’s personal data. The Putin’s regime murders its critics and opponents home and abroad as long as Putin reigns in Russia. The legalization of extra-judicial killings abroad upon an autocratic decision of the Russian president in 2006 legally extended Putin’s possibilities to kill rivals and critics all over the world. In 2003, Russian politician Sergei Yushenkov was shot dead in Moscow as he tried to gather evidence proving the Putin was behind the bombing of residential apartment blocks in 1999. Anna Politkovskaya was shot dead in Moscow in 2006, Natalia Estemirova was kidnapped and shot in Ingushetia in 2009. Both were journalists who reported about abuse of civilians in Chechnya. In 2015, Russian opposition leader Boris Nemtsov was shot four times in the back by an unknown assailant within view of the Kremlin. Putin took “personal control” of the investigation into Nemtsov’s murder, but the killer remains at large. Earlier USA Today reported that since 2014 “38 prominent Russians” had been murdered or died suspiciously. 19 of them were killed outside of Russia: 3 in the US, 1 in Greece, 1 in India, 1 in Kazakhstan, and 12 in Ukraine. Who was Denis Voronenkov, exiled Putin critic murdered in Kyiv?